J. O. Öberg & Son’s “Comedia” playing cards designed by the Swedish ceramic designer and illustrator Stig Lindberg (1916-1982). 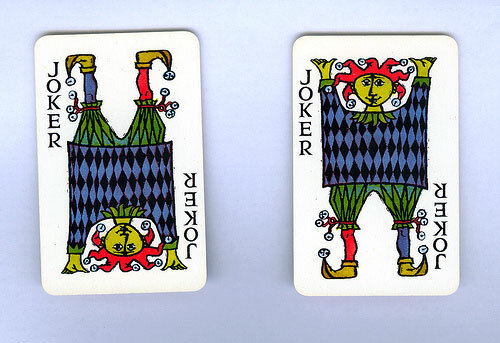 Sets contain two decks one with red / blue backs (52 cards + 2 Jokers each) inside a slipcase. Packs with international indices were also made for export. For example, they were available in the UK at W. H. Smiths. 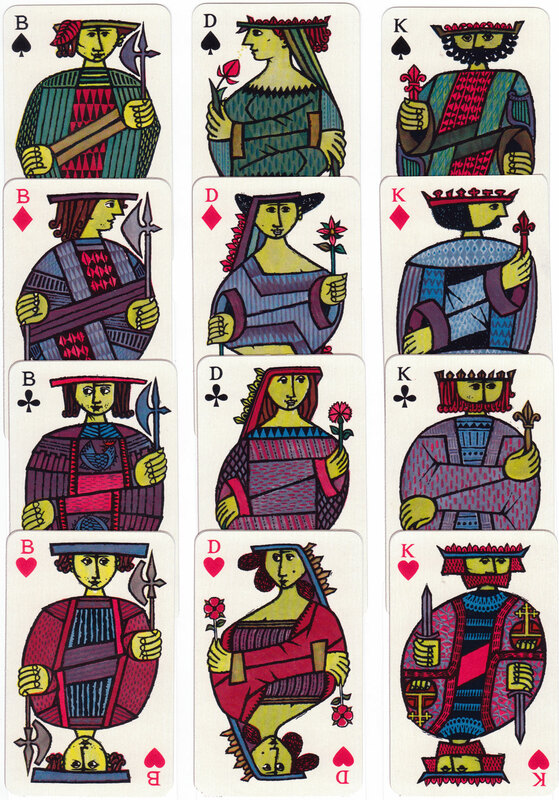 Above: Öbergs “Comedia” playing cards designed by Stig Lindberg from Sweden, c.1958. This edition is a Skat pack in a plastic wallet with no joker. Images courtesy Rex Pitts.